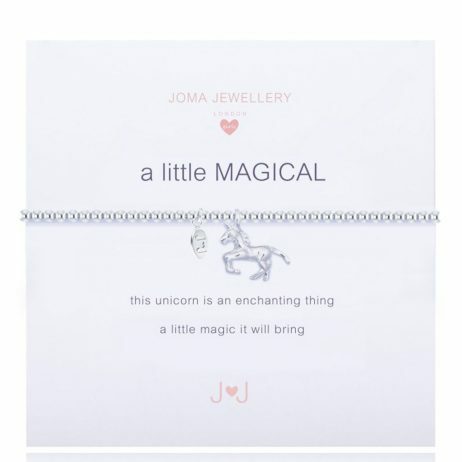 Sweet little Joma girls a little magical bracelet silver bracelet with silver unicorn pendant, made from tiny silver plated beads.’this unicorn is an enchanted thing, a little magic it will bring’. 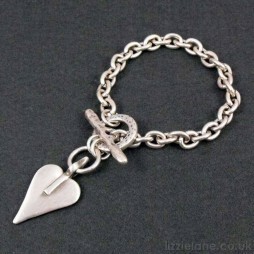 Suitable for age 5 to 12 years. 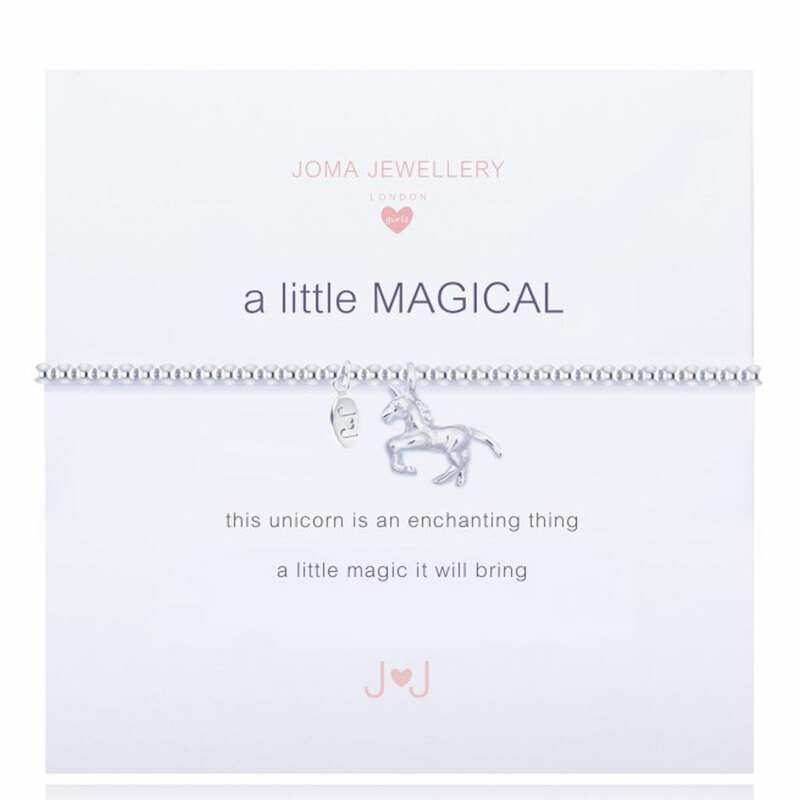 Sweet little Joma girls a little Magical Unicorn bracelet with silver unicorn pendant, made from tiny silver plated beads with the sentiment “this unicorn is an enchanted thing, a little magic it will bring”. 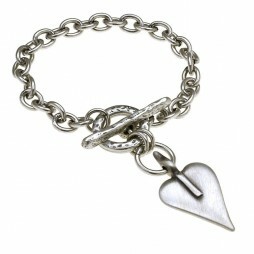 Suitable for age 5 to 12 years and designed just for girls, this lovely silver plated bracelet from our Joma Jewellery Girls collection will arrive in a gorgeous Joma Jewellery Girls ribbon tied gift bag with a pretty pink and white gift tag. 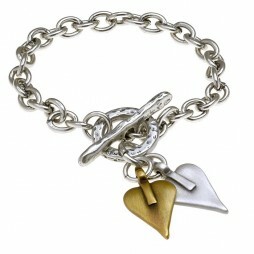 Joma Jewellery Girls is the incredible British designed collection of silver plated jewellery for children featuring bracelets and necklaces with a touching sentiment message. The brand-new collection is overflowing with magic and sparkle, from fairy queens to happy penguins, with the sweetest of sentiments to create the best gifts. 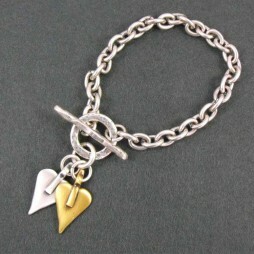 Children's Jewellery, Joma Jewellery a little, Bride & Bridesmaid Gifts, Gift Ideas, Gifts £0 To £20, Bead Bracelets, Bracelets, Heart Bracelets, Silver Bracelets, Joma Jewellery, Joma Jewellery Girls.